In this tutorial we will create a few Braintree demos, so please create your testing account at Braintree, and let’s dive right in. Go to Braintree sandbox page and register an account. After account confirmation and login, just go to Settings -> API keys and there you’ll find all the needed information. And that’s it – our simple payment system is created! Our front-end part of the application will send a request to Braintree and ask for a payment method and a “nonce” that we will use to execute the payment in our controller. 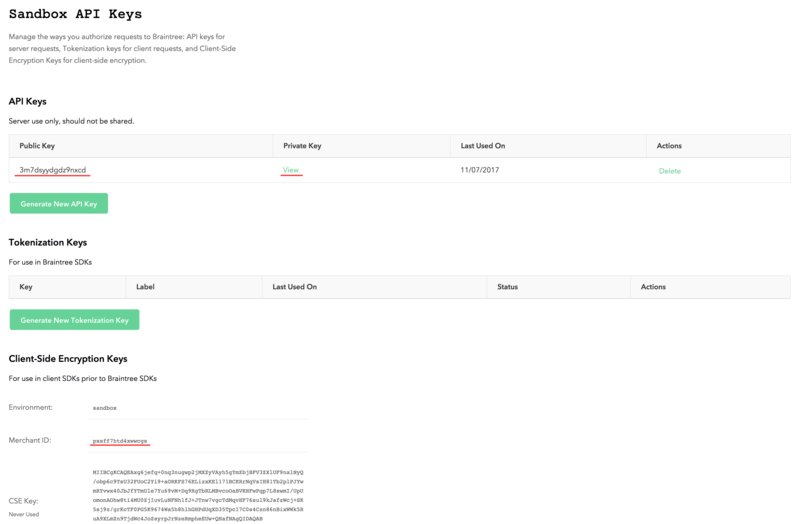 After we get a response from Braintree, we send a request to our application’s backend with information provided by Braintree, and try to make a payment. PaymentsController will return the status of the payment, and if it’s successful – we should see an alert, informing us about that. Another way to pay for services is subscriptions. And here with Braintree we can use official Laravel Cashier package. Notice: we added these env variables in .env file in the first part of the tutorial. One last thing. In our PaymentsController we are subscribing to our ‘bronze’ subscription, but we haven’t created one in Braintree, so before we can make a payment – we need to go to our sandbox and find Plans at the end of the menu. Go to plans and click New, create your plan there. Important thing: Plan ID has to be the same as $user->newSubscription(‘main’, ‘bronze’) second parameter. Now that our backend is set up, we can add front-end subscription form. It’s basically the same code as in single payment form, only difference being the route we are submitting to. 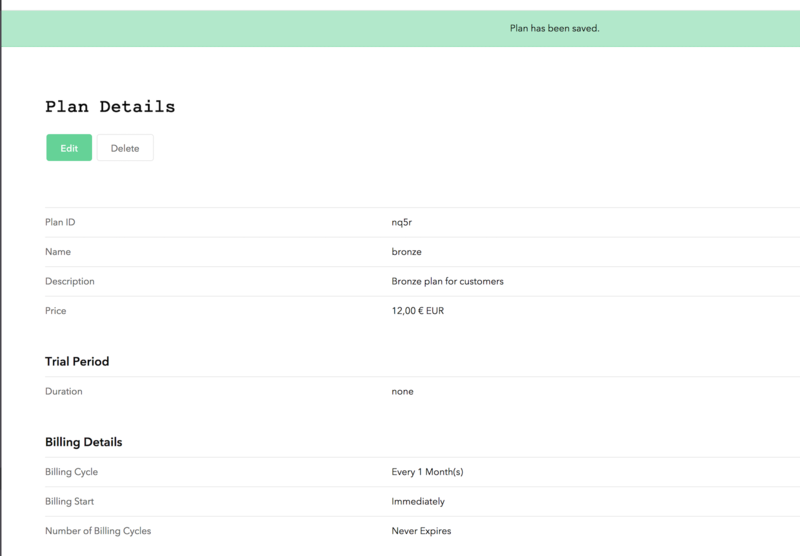 Enter dummy credit card data, click Subscribe, and that’s it – Braintree will now bill the user based on your subscription settings that you entered while setting up subscription plan in Braintree. You can visit you Braintree Sandbox and you should find our subscription there. So, that’s it! That was an overview of how you can use Braintree inside of Laravel. Was it helpful? I am facing a issue. When i create Transaction, it ends up in the Vault section. wheres the cvv field for the payment form? i m using the refund functionality in laravel. I have setup the all configuration but still showing this message “Class ‘App\Providers\Braintree_Gateway’ not found”. Please suggest.